The bright stars of the Winter Triangle are all seen in context. 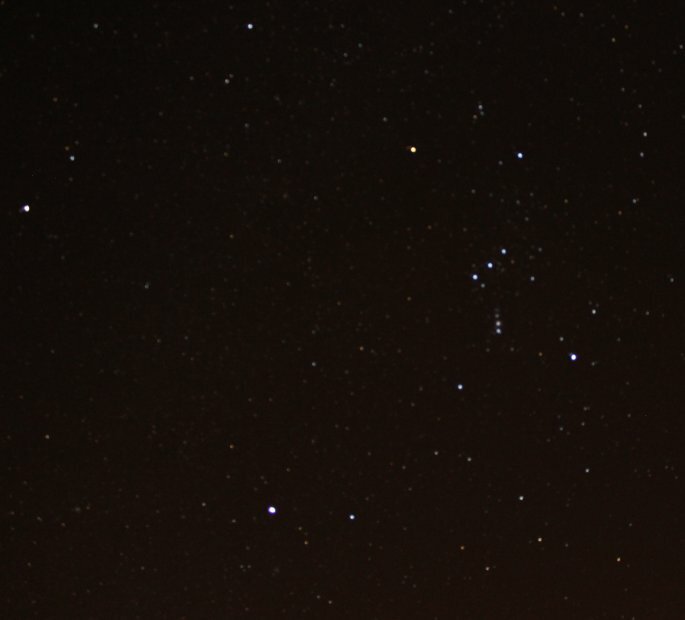 Betelgeuse of Orion is up and to the right of center, Procyon of Canis Minor toward upper left, and Sirius of Canis Major toward lower left. Monoceros runs through the Triangle, while Lepus hops below Orion.